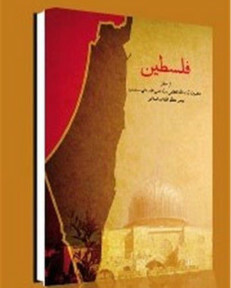 Ayatollah Ali Khamenei has published a new book called "Palestine," a 416-page screed against the Jewish state. A blurb on the back cover credits Khamenei as "The flagbearer of Jihad to liberate Jerusalem." While Secretary of State John Kerry and President Obama do their best to paper over the brutality of the Iranian regime and force through a nuclear agreement, Iran's religious leader has another issue on his mind: The destruction of Israel. A friend sent me a copy from Iran, the only place the book is currently available, though an Arabic translation is promised soon. Obama administration officials likely hope that no American even hears about it. He uses three words. One is "nabudi," which means "annihilation." The other is "imha," which means "fading out," and, finally, there is "zaval," meaning "effacement." Khamenei claims that his strategy for the destruction of Israel is not based on anti-Semitism, which he describes as a European phenomenon. His position is instead based on "well-established Islamic principles." One such principle is that a land that falls under Muslim rule, even briefly, can never again be ceded to non-Muslims. What matters in Islam is ownership of a land's government, even if the majority of inhabitants are non-Muslims. Khomeinists are not alone in this belief. However, according to Khamenei, Israel, which he labels as "adou" and "doshman," meaning "enemy" and "foe," is a special case for three reasons. The first is that it is a loyal "ally of the American Great Satan" and a key element in its "evil scheme" to dominate "the heartland of the Ummah." The second reason is that Israel has waged war on Muslims on a number of occasions, thus becoming "a hostile infidel," or "kaffir al-harbi." Finally, Israel is a special case because it occupies Jerusalem, which Khamenei describes as "Islam's third Holy City." He intimates that one of his "most cherished wishes" is to one day pray in Jerusalem. 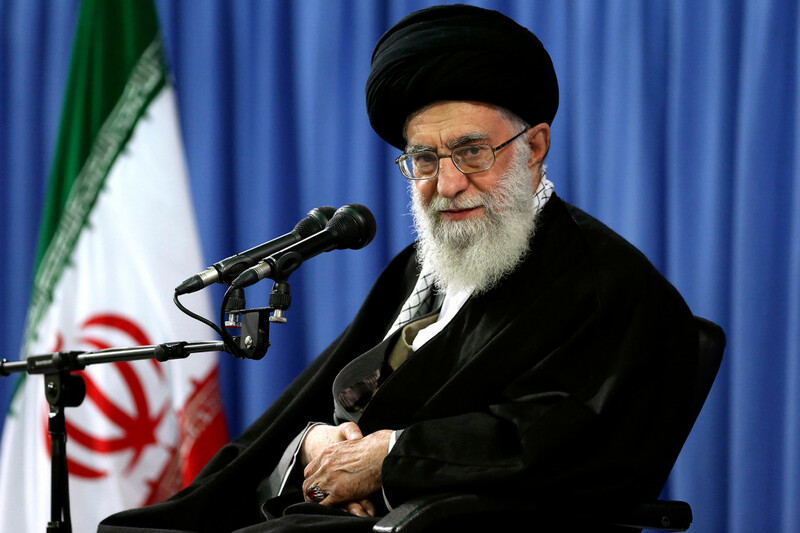 Khamenei insists that he is not recommending "classical wars" to wipe Israel off the map. Nor does he want to "massacre the Jews." What he recommends is a long period of low-intensity warfare designed to make life unpleasant if not impossible for a majority of Israeli Jews so that they leave the country. His calculation is based on the assumption that large numbers of Israelis have double nationality and would prefer emigration to the United States and Europe to daily threats of death. Khamenei makes no reference to Iran's nuclear program. 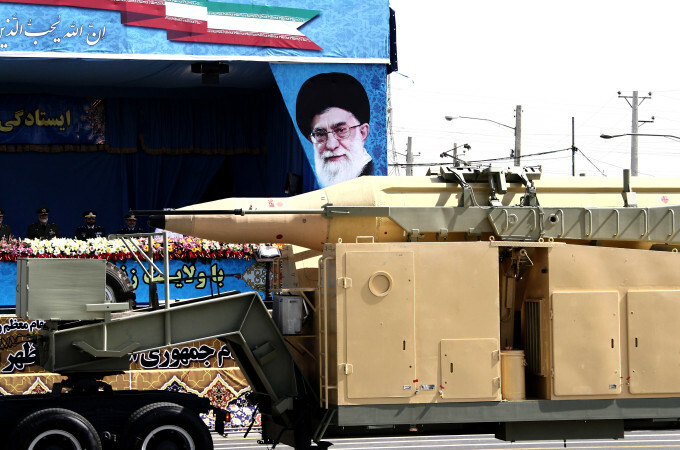 But the subtext is that a nuclear-armed Iran would make Israel think twice before trying to counter Khamenei's strategy by taking military action against the Islamic Republic. 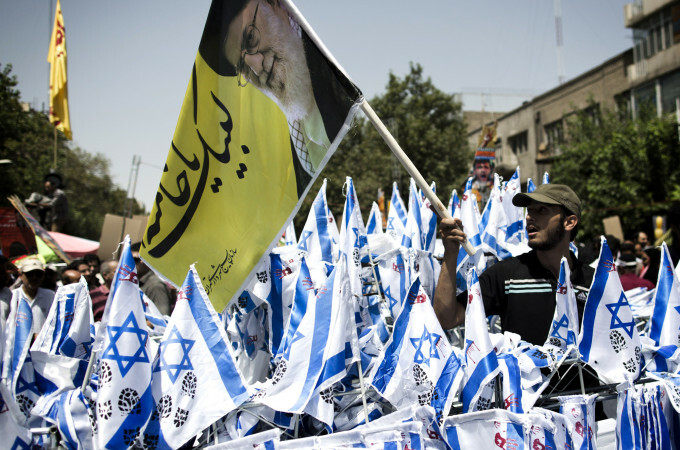 In Khamenei's analysis, once the cost of staying in Israel has become too high for many Jews, Western powers, notably the US, which have supported the Jewish state for decades, might decide that the cost of doing so is higher than possible benefits. Khamenei counts on what he sees as "Israel fatigue." The international community would start looking for what he calls "a practical and logical mechanism" to end the old conflict. 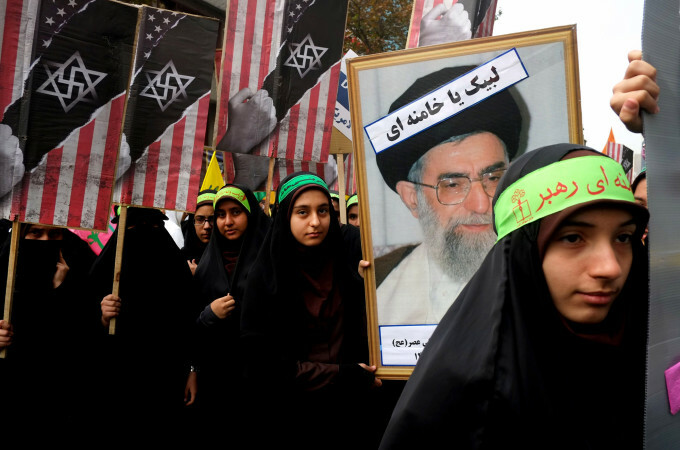 Khamenei's "practical and logical mechanism" excludes the two-state formula in any form. "The solution is a one-state formula," he declares. That state, to be called Palestine, would be under Muslim rule but would allow non-Muslims, including some Israeli Jews who could prove "genuine roots" in the region, to stay as "protected minorities." Under Khamenei's scheme, Israel, plus the West Bank and Gaza, would revert to a United Nations mandate for a brief period during which a referendum is held to create the new state of Palestine. All Palestinians and their descendants, wherever they are, would be able to vote, while Jews "who have come from other places" would be excluded. Khamenei does not mention any figures for possible voters in his dream referendum. But studies by the Islamic Foreign Ministry in Tehran suggest that at least 8 million Palestinians across the globe would be able to vote against 2.2 million Jews "acceptable" as future second-class citizens of new Palestine. Thus, the "Supreme Guide" is certain of the results of his proposed referendum. He does not make clear whether the Kingdom of Jordan, which is located in 80 percent of historic Palestine, would be included in his one-state scheme. However, a majority of Jordanians are of Palestinian extraction and would be able to vote in the referendum and, logically, become citizens of the new Palestine. Khamenei boasts about the success of his plans to make life impossible for Israelis through terror attacks from Lebanon and Gaza. His latest scheme is to recruit "fighters" in the West Bank to set up Hezbollah-style units. "We have intervened in anti-Israel matters, and it brought victory in the 33-day war by Hezbollah against Israel in 2006 and in the 22-day war between Hamas and Israel in the Gaza Strip," he boasts. Khamenei describes Israel as "a cancerous tumor" whose elimination would mean that "the West's hegemony and threats will be discredited" in the Middle East. In its place, he boasts, "the hegemony of Iran will be promoted." Khamenei's book also deals with the Holocaust, which he regards either as "a propaganda ploy" or a disputed claim. "If there was such a thing," he writes, "we don't know why it happened and how." This is what Iran's leaders are preaching to their people and their allies in the Middle East. Do we really want to give succor?